HCA’s partners at Sepsis Alliance are launching “Sepsis Survivor Week,” starting on February 10. HCA will be taking part by sharing infographics and other excellent and informative content created by our friends at the Alliance. As part of the week, Sepsis Alliance is also hosting a free webinar (February 12) on “Caring for Sepsis Survivors: From ICU to post-hospital care.” To register and learn more about this webinar, please visit https://tinyurl.com/ybmoue4o. 4 million Americans survive sepsis, a lethal condition, each year. As many as 60% of survivors are left with physical, mental and emotional challenges, including amputations or worsened cognitive functioning. For the home care population, older sepsis patients experience on average 1 to 2 new limitations on activities of daily living (e.g. bathing, dressing, managing money) after hospitalization. Download the Sepsis Alliance toolkit to learn more and spread the word from February 10 to 16 at https://www.sepsis.org/sepsis-survivor-week-toolkit/. 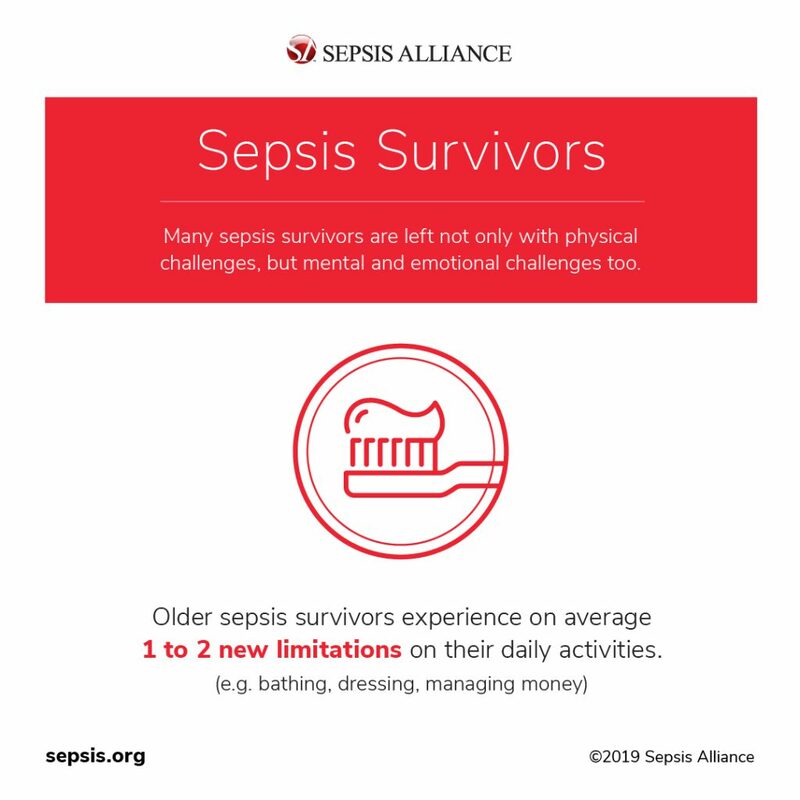 There you will find a series of infographics, a video and more that can be shared on social media by tagging @Sepsis Alliance and using the hashtag #SepsisSurvivor. Sepsis Alliance is a core partner on the HCA Stop Sepsis at Home initiative, which has brought training sessions and an HCA-developed, evidence-based community sepsis screening tool to home care clinicians throughout New York State. HCA encourages all members to adopt the tool and protocols. Learn more at www.stopsepsisathomeny.org.